I’m here, I’ve landed and I’m starting to acclimatise! It’s mid-October and the beaches are choca-block, because that’s right boys and girls the sun is shining here in Barcelona. It was a shaky start. My taxi driver from the airport knew no English, I knew no Spanish. He didn’t have a clue where I wanted to go even with a map and a full address, neither did I. *Sigh* I should be grateful he taught me three lessons. 1. I need to learn Spanish really fast, 2. learning my way around would be helpful and 3. I won’t necessarily get mugged after dark even if I’m wheeling all my worldly belongings along with a very lost looking face and sweaty palms. I made it to my hotel on foot and I earned that sense of achievement, having been dropped a mile away from my hotel – cheers taxi dude! You would have thought a massive bloody monument like the Arc de Triomf would have given him a clue of my location, but no. The very next day, map in hand I started walking. I’m pretty sure in the last few days I’ve covered a ridiculous landmass but I’m starting to get a good idea how Barcelona slots together. It’s divided into fairly recognisable areas and I needed to know which area I want to live in. Where would I fit in? Would it be Barceloneta and its close proximity to the sea, just by the marina with tapas bars aplenty? Or perhaps Gotico (The Gothic Quarter), it’s hectic but the architecture is incredible. Raval was once-upon a time the area to avoid but has attracted an arty crowd with the presence of the Museum of modern Art. 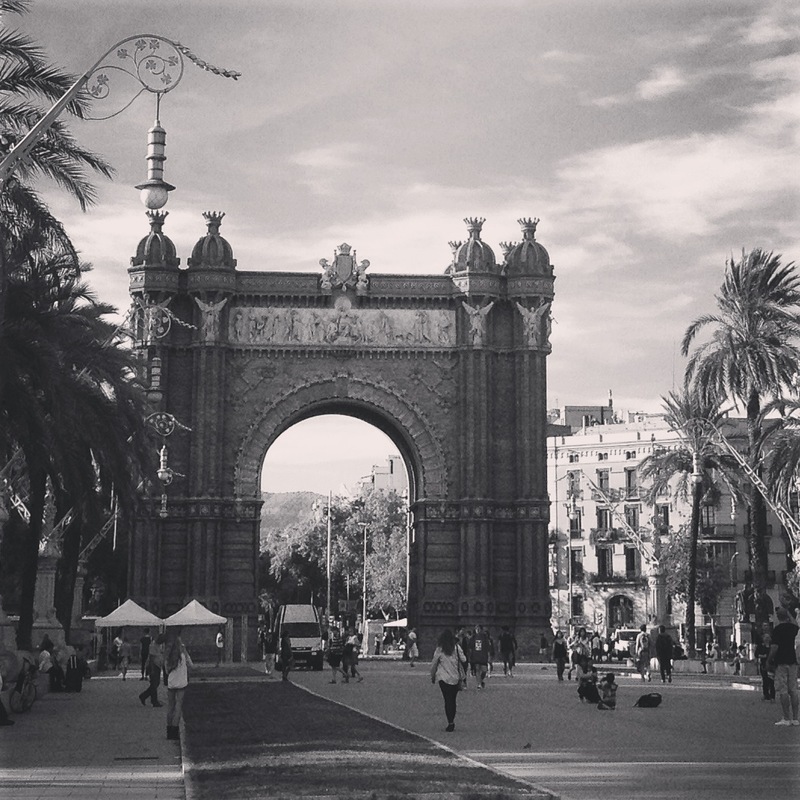 Maybe El Born with it’s cobbled streets, boutiques, wine bars, architecture, easy walk to the beach. There are more areas but as you can see when picking an area I was kind of spoiled for choice! I picked El born. I viewed a few apartments and I pick up the keys to my new home on Wednesday. I couldn’t be more excited to move into my Traditional Spanish apartment on the outside, modern on the inside home. 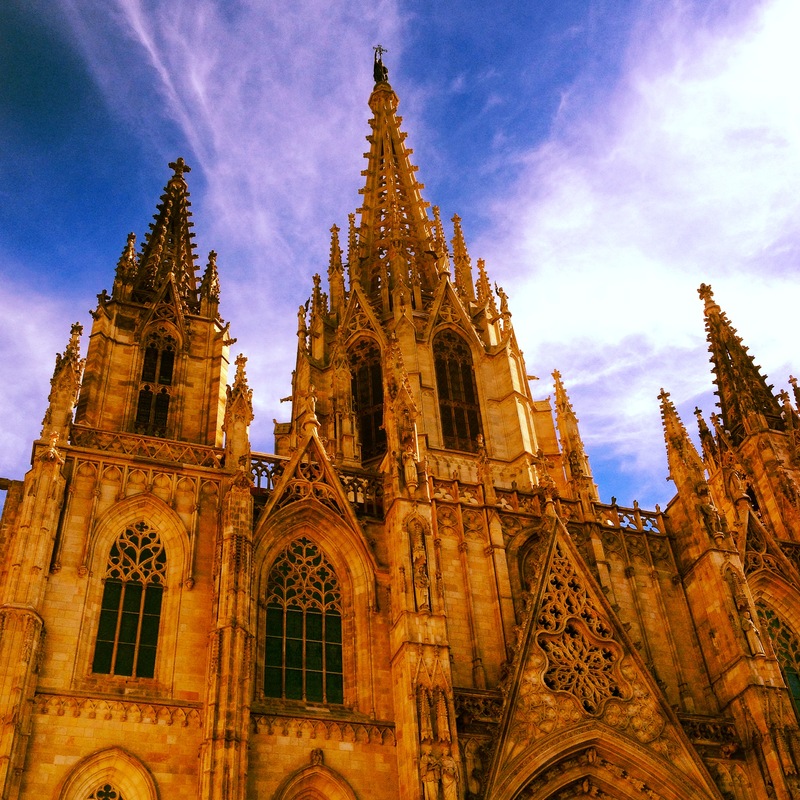 I’ll be living a stone’s throw away from Santa Maria del Mar, a beautiful church with gothic architecture. It’s dedicated to Saint Mary of the Sea, Patron Saint of Sailors. Perfect! Only a couple of minutes walk from the Picasso museum too. I’ve been roaming the same streets as Pablo himself. Can you tell I love Barcelona already? I really do! 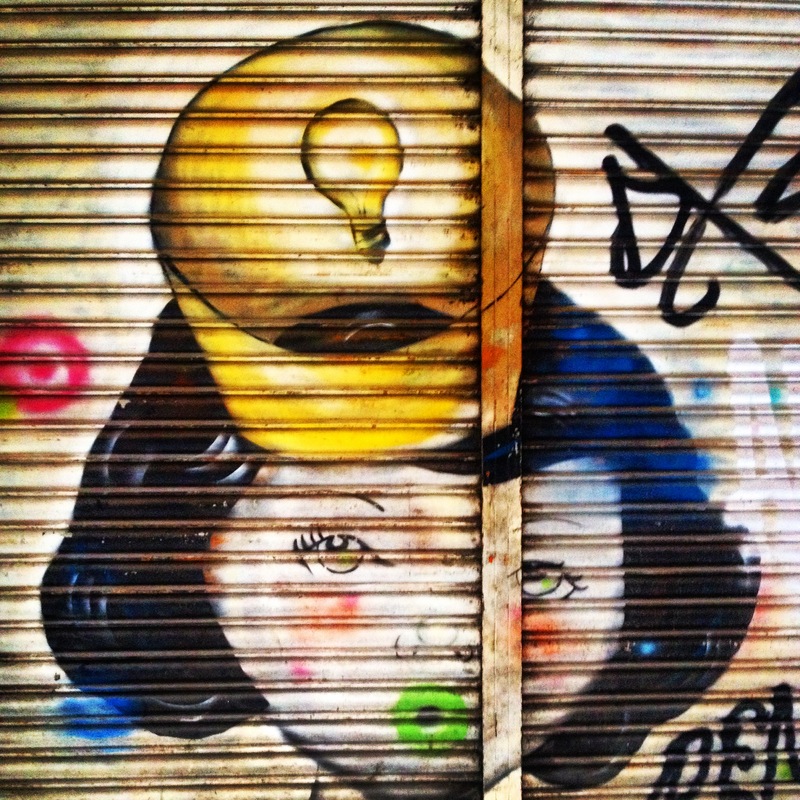 Streetart can be found everywhere, often covering the shop’s shutters when they’re closed for business. Markets spring up on so many corners and there’s such an eclectic mix of shops down every alleyway. I’ve already found three fantastic vintage shops and a circus shop! A whole shop dedicated to circus equipment, I love it. What I don’t love is trying to get my official residency sorted. This has involved attempting to queue from the early hours but being turned away. This has delayed my start date for work, by a week or so. A bit gutted as I’m ready to get stuck in now but on the upside I have more time to explore. And learn Spanish… My official Spanish lessons begin on Monday. But in the meantime I’ve been dedicating a little time to some online learning. This does involve saying words and sentences out loud. I imagine me shouting dog, cat, egg, the man drinks milk, a yellow bicycle – from my closed hotel room door is unnerving passers by a little. Will it sound pretentious if I start chucking in the odd Spanish word I know into my posts? Thought so. I’ll save my learning and perhaps unleash it in a whole blog post one day. Or maybe a real life conversation. N.B This could be a year or so off! So logistics if you’re thinking of doing this too. You do need an NIE number, book your appointment online here at the NIE website. You then need to go and pick up your Social Security number from an office down the road. Banking, use this one Banco Sabadell, they speak English and are lovely with great services like free international transfers. Phone contracts… I’ve gone with Vodafone on pre-pay for now. Never thought I’d say that sentence #ThreeUK please forgive me. House hunting, I went with Key2BCN and they’ve been wonderful. Getting a fabulous job over here made me take this step but I’d urge anyone thinking about moving overseas to just give it a go. I’m only a few days in and don’t speak the language so yes it can be a bit isolating but I can tell the long-term satisfaction will be worth it. A final thought, from my friend Paul. When we were in the highest Irish Bar in the world (Cusco, Peru) we came across a quote, on a beer mat I think… Paul emailed me this week with this beautiful piece of writing that had slipped my mind.